Desa Gamtala is a social organization which has traditional characteristics, so that the accountability of its financial management process is not always supported by proper system and procedure. Although this system was carried out in simple way, this could be used to manage the asset of Desa Gamtala properly. To understand the phenomenon of the financial management in Desa Gamtala, this research was aimed to find out: 1) the participants involved in the financial management process in Desa Gamtala, 2) how the financial management process in Desa Gamtala was carried out, 3) how the participants involved understand and interpret the accountability of the financial management process. This research was conducted by using qualitative method which emphasizes on the description of every perception and habits of the human. The data analysis was conducted in three steps, such as: 1) Data Reduction, 2) Data Display, and 3) Verification. The result of this research shows that: 1) The process of financial management and its accountability in Desa Gamtala was involve all people in Desa Gamtala, 2) The accountability of the financial management is carried out consistently 3) Due to the social capital, especially belief, the participants of Desa Gamtala realize that accounting is an instrument of accountability and transparency in financial management in Desa Gamtala. ZAINUDDIN, Zainuddin; ANSAR, Resmiyati. AKUNTABILITAS PRAKTIK PENGELOLAAN KEUANGAN DESA GAMTALA, HALMAHERA BARAT PROVINSI MALUKU UTARA. 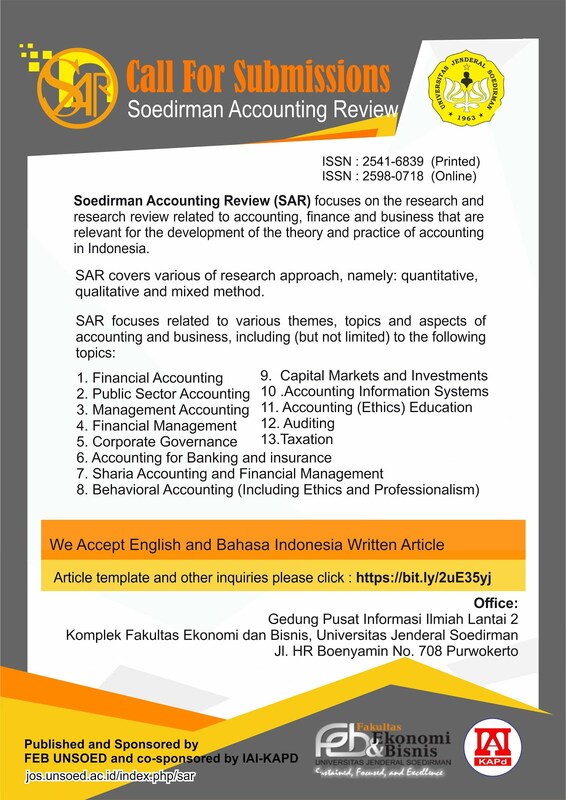 SAR (Soedirman Accounting Review) : Journal of Accounting and Business, [S.l. ], v. 3, n. 1, p. 1-20, june 2018. ISSN 2598-0718. Available at: <http://jos.unsoed.ac.id/index.php/sar/article/view/1159>. Date accessed: 21 apr. 2019. doi: https://doi.org/10.20884/sar.v3i1.1159.